Let me begin by saying this: Gingerbread is not accustomed to Christmas only. And you do not only have to throw a party when you are celebrating a significant occasion (e.g. Birthday) or because it's the holiday season (e.g. Christmas). You party because you can! Whether it's a family function or a night out with the girls, or just you and the kids having fun. They're all parties and should be enjoyed. Use Paper Plates to Manage any Disarray: Place each gingerbread house on a large plate to help control the mess while decorating. If you want your cleanup to be easier, use paper cups for drinks too. When you're all done, you can just throw them in the trash. No washing! Such a relief. All of your paper straws and paper ware should be in colours that match your theme to make it pleasing to the eyes and fun too. Have Refreshments: You already knew this. Go for something healthy and just with the right amount of sugar, meaning soda is out of it. Could be homemade lemonade or you can just go ahead and buy some. 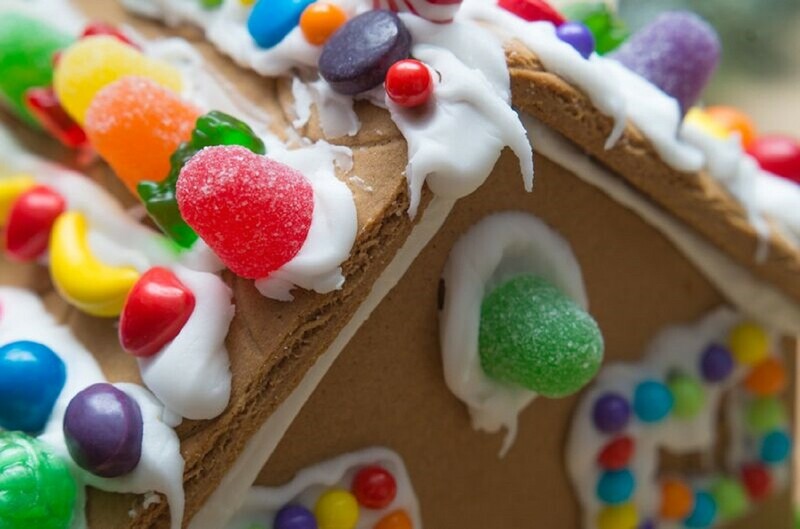 Purchase a Gingerbread House Kit: For your decorations, buy a gingerbread house kit. There are loads of great, inexpensive ones to choose from online. I suggest making gingerbread houses in advance and allowing them to dry before letting the kids decorate, so they don't make a mess. Simply separate the ingredient onto plates and into bowls for a lovely display. Toppings and Decorations: Just to spice things up a bit, it is always a good idea to add some of your own toppings (you're combining the toppings from the kit and toppings of your choosing). Few ideas are peppermints, chocolate, gumdrops, sprinkles, and marshmallows.